This is one of my latest paintings that I did for Illustration Friday. I used acrylic paint and colored pencils on patterned paper, a favorite medium of mine! Ocean lovers would also like to receive this, I'm sure. Each card measures approx 4x5" and comes with a matching envelope in a cello sleeve. 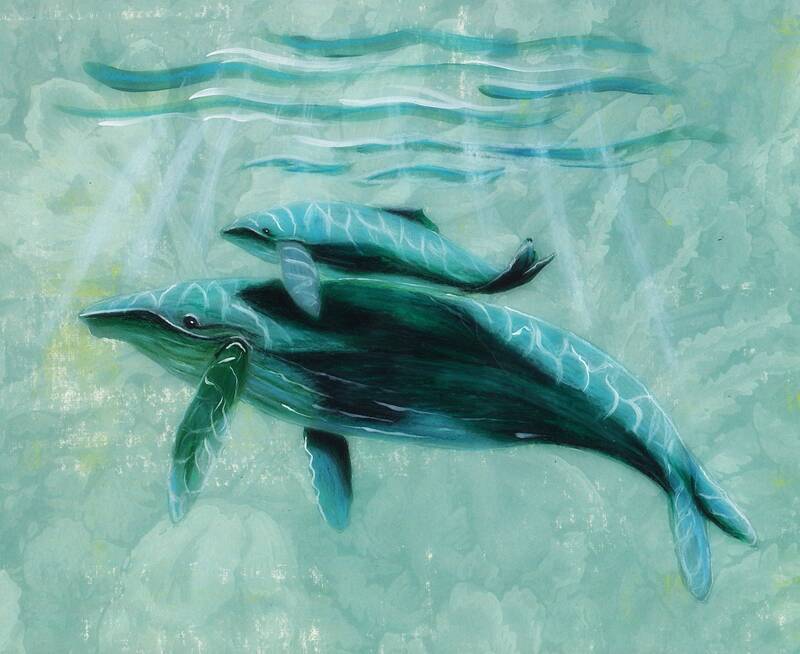 Such a soothing and tender and pretty whalesong duet card. It is relaxing to look at the card. So tender. A lovely card - so pleased! Thanks.